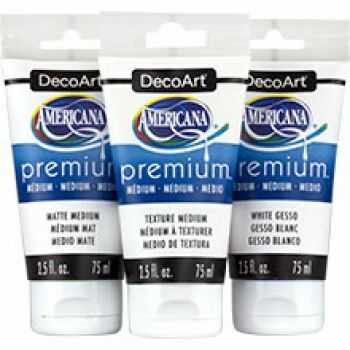 Decoart Americana Premium Acrylics - Mediums Discounts Apply ! Americana Premium Mediums Versatile mediums for adding to the acrylics to expand the capabilities of the paint line. Add texture, a glossy finish, dimension and more with this variety of mediums and specialty products.